Here's some highlights of our blissful years of marriage. Hope you guys won't be bored as my entry for this week is quite long. September 2002: He saw my profile at matchmaker site. He left me his email add, I wrote him, then he called me. From then on, emails and phone calls were our everyday routine. January 2003: I finally accepted him as my online BF weee. March 2003: He came and visited for the first time, our first face to face met up. 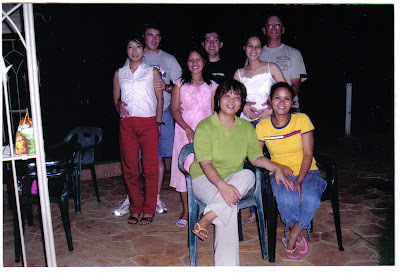 August 2003: He came back and we got married despite of my father's untimely death. It was a very simple rite but it sealed our relationship. It was also the tough times of our marriage as I was still in the Philippines and I badly wanted to get preggy but wasn't blessed with one. October 2004: We decided to get married again and this time was in church. 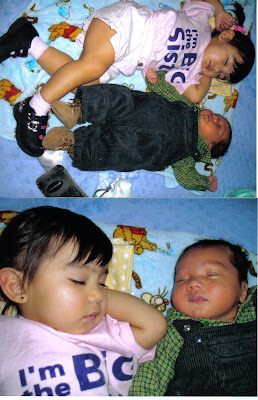 It was also the year I was blessed with our first baby, though only he stayed for two weeks I got pregnant. My papers were being processed then but it seemed like it was taking forever. Separation was hard, glad there's phone and internet that kept us connected. May 2005: My papers finally got approved and I was given the opportunity to be with my husband. I was seven months old preggy with Ms. Burrito when I flew to Guam (my port of entry) to meet my husband who was stationed there at that time. 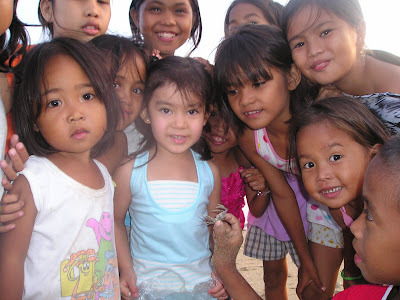 Peers I met during our brief stay in Guam. 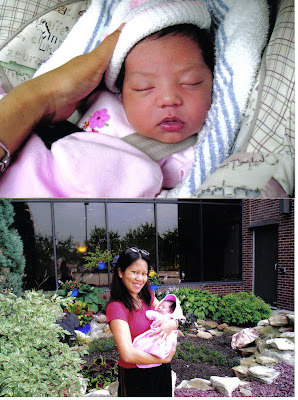 July 2005: Came a healthy baby girl, Ms. Burrito. We also bought our Honda Accord in September of this year. February 2006: We bought our home sweet home. We renovated it and moved in in July 2006. January 2007: Came another new bundle of joy, Mr Burrito. February 2008: We went overseas, the beautiful Land of the Morning Come, South Korea. 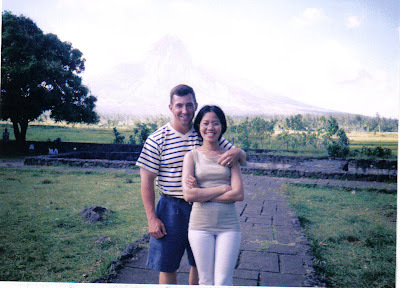 March and June 2009: We went for a vacation in the Philippines. Two months after the vacation we went back again for my late brother's funeral. December 2009: We came back here in the mainland from Korea. February 2010: Hubby retired from the Navy and went back to school. He will be graduating next year. 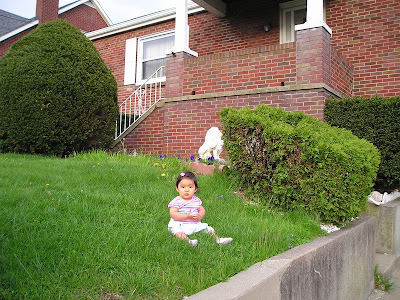 August 2010: Ms. Burrito started going to Kindergarten. Time flies, she will be in the first grade in few weeks. 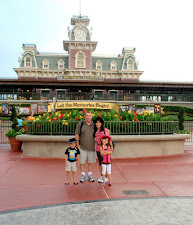 July 2011: We decided to have a vacation in Disney, that was our pre-anniversary celebration. Tomorrow will b our 8th wedding anniversary. Sorry for my long entry this week. I just want to show you the highlights of our journey. Thanks for joining this week. Wow naman, sis! Sobrang natuwa ako sa story mo. Thanks for sharing! So wonderful! I am happy for you - finding love online is quite risky, but I am so glad you're blessed with a wonderful husband. awwwwwwwww...kakakilig...congratulations sis...way to go...happy anniversary guys! aaww, that's the sweetest entry I have ever read.. Happy 8th anniversary to you both! Your love story with John is like a beautiful telenobela that is still unfolding. 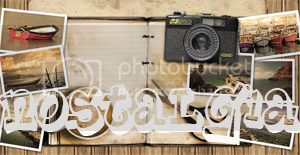 Your love story was chronicled in your blogs and all of your closest friends know the details of your love story. Happy 8th Wedding Anniversary. Truly, your union with John was made in heaven and I hope and pray that it would last a lifetime and beyond. With your two kids growing so fast, you have added new chapters to your love story. 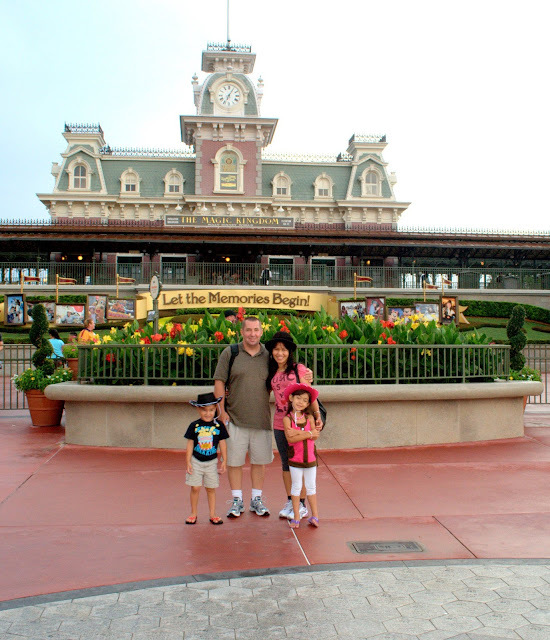 Your vacation in Disney World with the Dias family was another milestone in your blogging career. Now your kids are as close as you are with your kumareng Dhemz. I am so happy for all of you. Thanks for the post. God bless you all always. ang sweetness naman. you were meant for each other talaga. I'm happy for you sis! btw, thank you nga pala sa postcard na padala mo, I got it today! !Oo nga ang layo ng napadpad nun^_^mwahness! !arigatou neh! ang ganda ng gown mo Rose I so like it! Thanks for the nice greetings guys! Congratulations for 8 & wishes for many more !! you have encouraged me... thankyou! Thanks for sharing your story with us...Happy Anniversary! I enjoyed my visit with you today and learning all about your journey in love. Best wishes to you and family for many more happy years. I think this post was beautiful! Wow! Whirlwind din pala ang sa inyo, sis. Gaya ng sa amin. Hehe. Here's wishing you more blissful and happy years ahead! Stay happy and Happy Wedding Anniv to the two of u! Anyway, so sorry for the late entry pala sis. I really thought it's Thursday today. It didn't occur to me that it's Friday until I saw the date on my post. Yikes! Memory gap! LOL. It's okay sis, ganyan din ako minsan lol. Wishing you and yours a beautiful pink weekend. Beautiful family! So happy you were blessed with love, a hubby, and two sweet children!